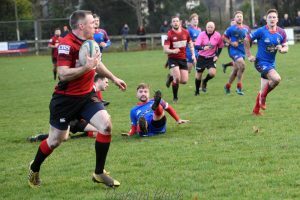 The Linlithgow side welcomed back new club captain Euan Mochrie who has been out for several weeks, and the side looked almost full strength. It didn’t start well for the home side as the visitors scored an early penalty. In Linlithgow’s next attack, there was an opportunity to score but the penalty was taken quickly and the opportunity lost. 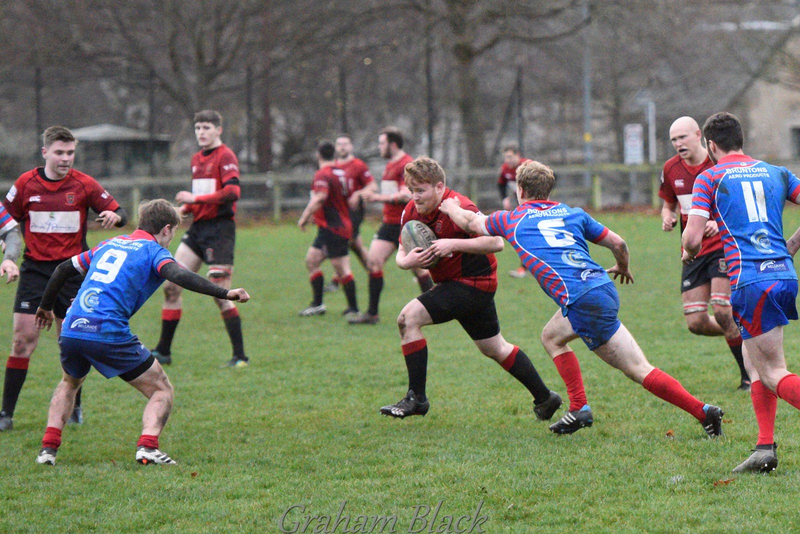 This was quickly followed by a try in the corner from the Ross High winger who showed a great turn of pace. The conversion was missed. Linlithgow came right back at the visitors and Mark Green scored under the posts, with Jack Frame kicking the conversion. 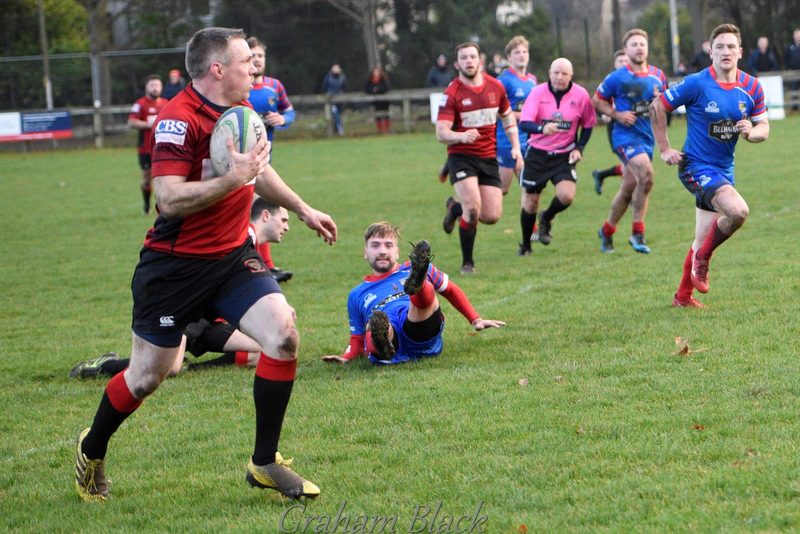 Unfortunately for the Reds, Ross High quickly scored another try and a conversion, before Linlithgow came back with a great solo try from Rab Cairns, the conversion was missed. Almost immediately Ross High scored another unconverted try before Linlithgow made the half time score 15-20 with a Jack Frame penalty. Any sign of hope for Linlithgow gained at the end of the first half was wiped out within 10 minutes of the restart. 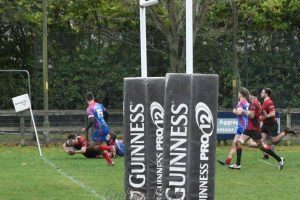 The score went from 15-20 to 15-41 in double quick time as Lucas Reid, the Ross High winger (Scotland under 19 cap), ripped the defence to shreds, the 3rd try given was a penalty try as the Reds player obstructed the attacker. 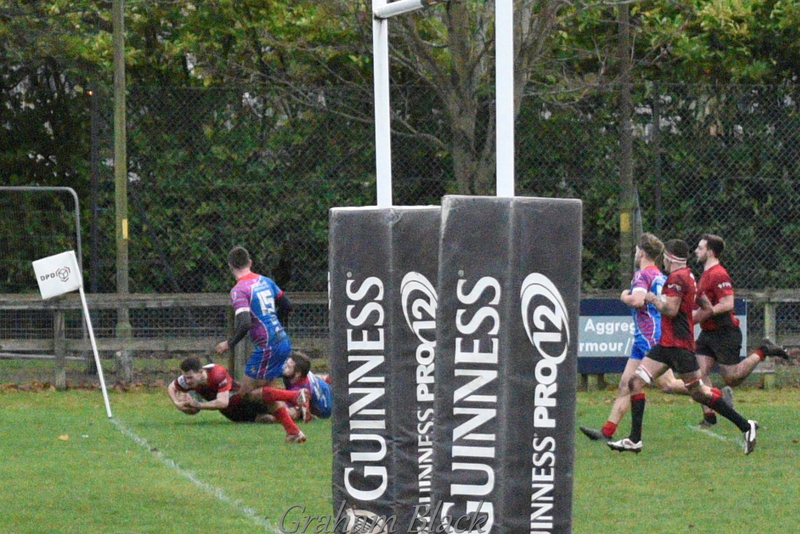 There was little chance of a comeback, but Linlithgow didn’t give up and after a period of pressure Jack Frame went over in the corner to reduce the deficit, the conversion missed. It was all Linlithgow now with most play for the last quarter well inside the visitors’ half. However, great defence by Ross High kept the Reds out until very near the end when Andrew Whitelaw, playing his first game of the season off the bench after injury, squeezed in at the corner after some intense pressure to get the bonus point try, to which Jack Frame added a fabulous touchline conversion. 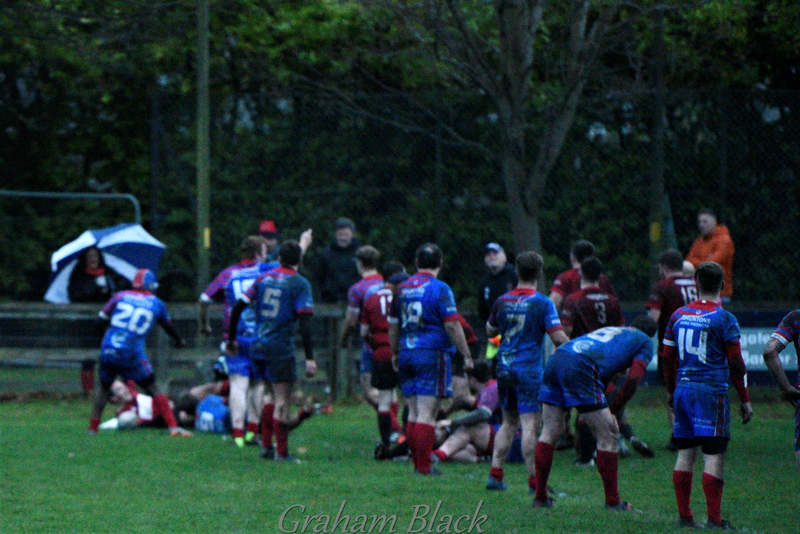 Ross High were deserved winners on the day and Linlithgow had no answer to the pace of the visitors. It was a strange game. 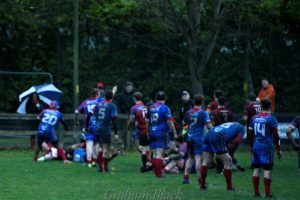 In a way the Linlithgow defence was never under any pressure, as all the tries came from the half way line, mostly as a result of losing possession from an attacking position. This Saturday the Reds entertain Livingston in what has now become a very important game for both sides. Rab Cairns; Jack Frame, Chris Ronalson, Mark Green, Ross Plenderleith; John Chapman, Peter Millar; Steven Grant, Euan Mochrie, Colin Devlin; Neil Lochhart, Kieran Cochrane; Mark Caddle, Cal Thomson and Joe McKillion.